Air pollution is a serious problem! According to the Environmental Protection Agency (EPA), indoor air pollution is one of the top five environmental risks to public health—and your home’s air could be up to 100 times more polluted than outdoor air! Unfortunately, our houses are not the safe haven we often believe they are. If you’re sneezing, sniffling, or suffering from year-round asthma symptoms, poor indoor air quality (IAQ) could be to blame. Changing and cleaning your HVAC air filter is a good way to improve indoor air quality, but it’s only the beginning. In some cases, you may need indoor air filtration to remove dangerous contaminants from the air you breathe. Whole-house air filters don’t just treat the symptoms caused by indoor air pollution. They remove the air quality problems from every room in your house, bedroom to basement. What is an Indoor Air Quality System? If you or a family member suffers from asthma and allergies, indoor pollution could be a contributing factor. In fact, the Environmental Protection Agency reports that indoor pollution can be up to 100 times as bad as outdoor pollution in some cases. Unfortunately, no matter how clean you keep your home, contaminants can still hang in the air. Comfort Solutions Heating and Air partners with leading manufacturers to provide Indoor Air Quality Products that remove particulates, allergens and viruses. Eliminating pollution from animal dander, dust mites, smoke, pollens, mold, fungus, bacteria, and chemicals, air filtration may offer significant relief for those suffering from allergies, asthma, and respiratory conditions. At Comfort Solutions Heating and Air, our NATE-certified technicians provide indoor air quality (IAQ) services that help you control air purity in your home: decreasing the potential for respiratory illness and other health problems. Partnering with leading manufacturers to install high-quality whole-home Indoor Air Quality Systems, our team specializes in indoor air quality equipment that works in conjunction with your HVAC system. To learn more about Comfort Solutions Heating and Air Indoor Air Quality Systems, or to request an indoor air analysis for your Lawton, OK home, call 580-609-4165 today. 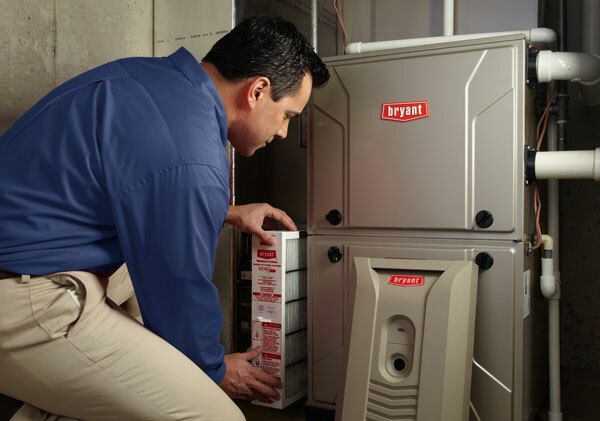 You may also connect with a Comfort Solutions Heating and Air team member online, and we’ll be in touch promptly to address your Indoor Air Quality needs.